The Hotline Miami series, with its synthwave/retrowave-drenched soundtrack, has served as a potent musical discovery engine for me, as well as undoubtedly many others. Remarkably, that extends to songs and artists that never even appeared in the games. Before I had touched either Hotline Miami game, two things stood out when watching footage from others. First was the bloody hyperviolence. Next was all this brain-meltingly great music. That led me to seeking out songs from the game, and through those efforts, eventually came across “Pursuit” by French techno artist Gesaffelstein. With its slamming beat, intense synth line, feverish mob yells, and overall dark and aggressive vibe, it was a particular highlight of my search. There was one slight issue, however: That song isn’t actually in the game! At first, it was a point of considerable personal confusion and annoyance, expecting a track to be there when there really wasn’t one. Eventually, with the power of helpful YouTube comments as a guide, I finally pieced together what was going on. The embed above was uploaded back in 2014, well before the March 2015 of Hotline Miami 2: Wrong Number. Thus, it was from someone trying to get the advance jump on what the sequel’s soundtrack would be. However, most likely due to misinterpreting what song the filename “Pursuit.ogg” could have been referring to—it was actually an early version of Scattle’s “Bloodline”, which is in the game—they must have flagged this track by mistake. Since then, I’ve made peace with the absence of “Pursuit” from the games. It’s not actually my favorite track in Gesaffelstein’s repertoire, nor even in the top three—the likes of “Viol”, “Opr”, “Hate or Glory”, and “Trans” are more up there—but it was THE single gateway that clued me in on his existence and compelled me to seek out more. His disorienting and hostile take on electronic music has been one of my favorite things ever since. 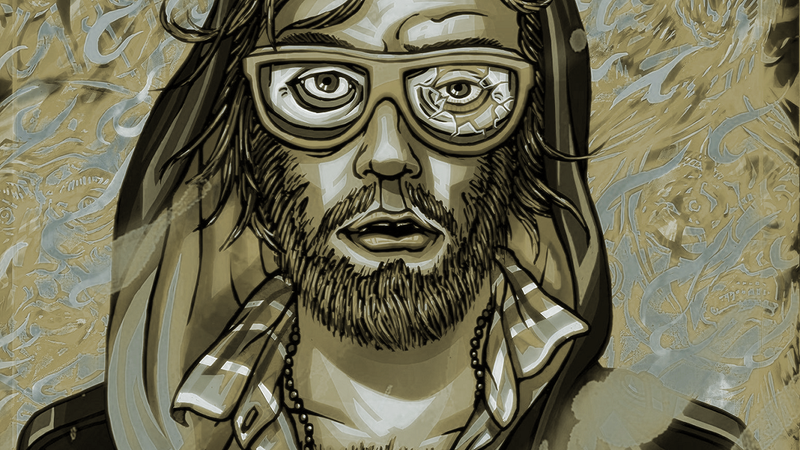 And if it could have only happened through someone else’s erroneously-drawn connection to Hotline Miami? Then so be it!